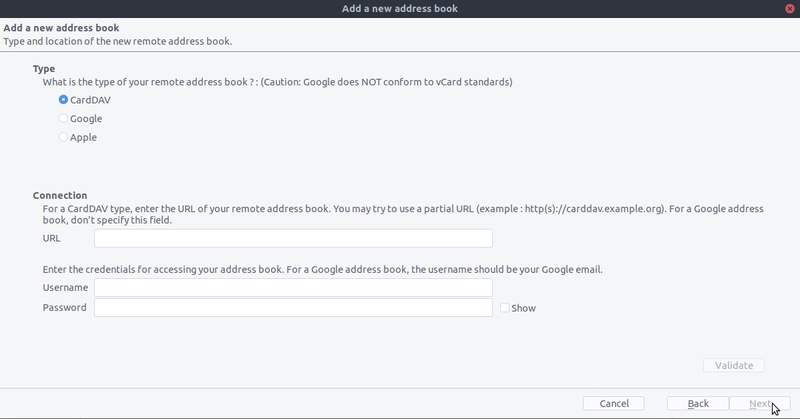 Validate your settings and click Next, then choose the name of the addressbook and click Next again. 5. 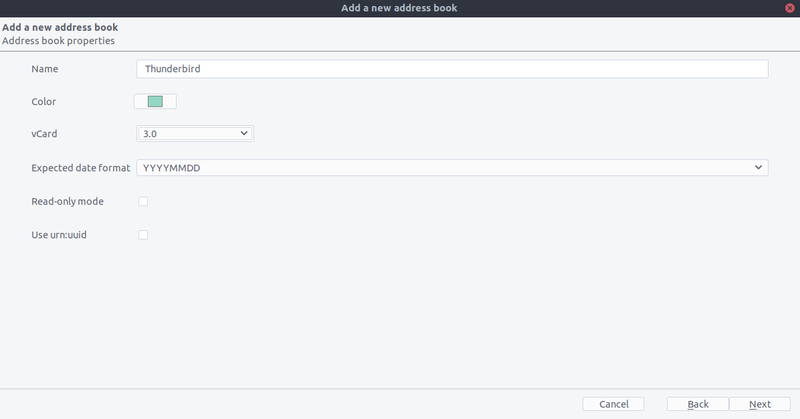 Once installed, synchronize your addressbook by clicking “Synchronize” in the top left corner of CardBook. 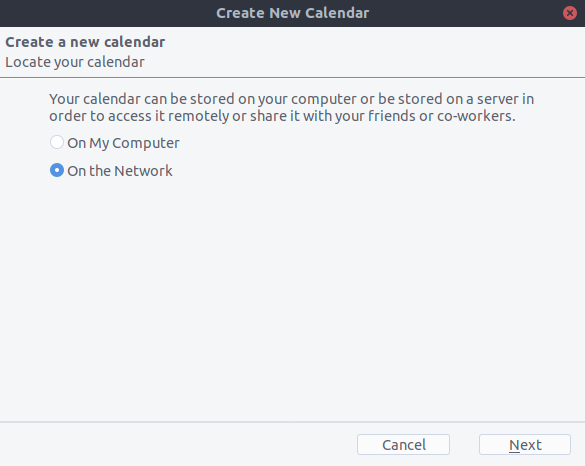 You’ll see your address book populate from Nextcloud! 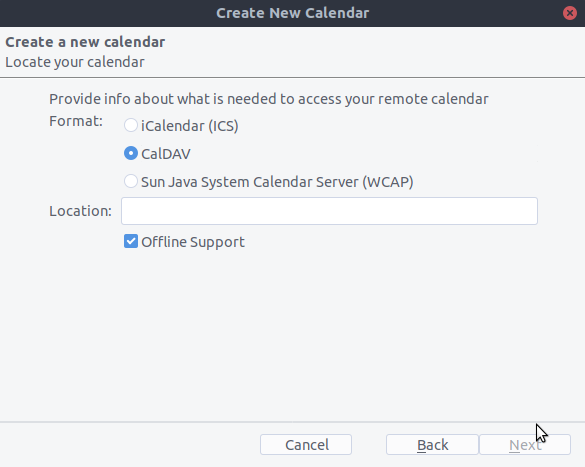 Go to the calendar view in Thunderbird and right click in the calendar menu to the left (where the names of the calendars are) to add a New Calendar.